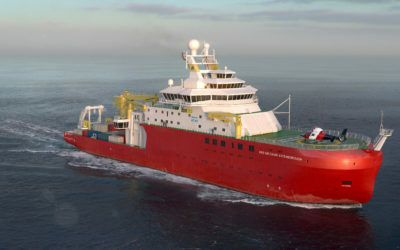 The RRS Sir David Attenborough will be equipped with air and aerosol sampling facilities, drawing air from two locations – the foremast platform, above the vessel’s bow, and from above the crow’s nest. These locations will further ensure undisturbed samples of clean, ambient air uncontaminated by ship emissions when the relative wind direction is from forward of the superstructure. 50mm-diameter stainless steel tubing with minimal bends will be used for the aerosol sampling system into the main armospheric science lab, below the foredeck. The aerosol lab will be located at the very top deck to minimise the distance between the sampling location and the laboratory. Permanent scientific meteorological equipment will be mounted on both the foremast and above the bridge, providing back-up to these critical measurements by measuring in two locations. The meteorological instruments will have connections to the relevant atmospheric science laboratory space. An extensive suite of meteorological sensors to measure surface air pressure, wind speed and direction, air temperature and humidity, visibility, and precipitation (including the presence of freezing rain or icing conditions). Dew point chilled mirrored hygrometer to provide an accurate measure of humidity. Trace gas measurements will be made of carbon monoxide, carbon dioxide, methane and ozone. Measurements of carbon dioxide dissolved in sea water are also made. Solar/Infra Red radiometers provide downwelling radiative fluxes. Sea surface temperature is measured by a Heimann KT15 infra red temperature sensor, while bulk water temperature is measured at the pumped sea water inlet. The polar oceanic regions are remote and inhospitable. Many key science questions are difficult to address because of lack of good measurement data. For example, we do not yet adequately understand the dominant sources of aerosols (small particles in the atmosphere) – these are likely to be different in different regions (open ocean, sea ice zone, biologically-active coastal waters) and also at different times of the year. It is important to understand aerosol sources because these small particles have a significant influence on the formation of clouds, as well as the cloud’s characteristics. Whether a cloud has a large number of small droplets or a small number of large droplets affects the way the cloud interacts with solar radiation, thus affecting the surface energy budget and near-surface atmospheric temperatures. Long term measurements of greenhouse gases are essential for understanding how the atmosphere is evolving and for assessing the influence on global temperatures. In particular, the Southern Ocean is a key sink for carbon dioxide, with estimates that it has absorbed up to 50% of the human-related emissions that have entered the oceans. 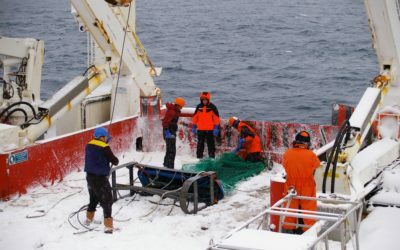 However, there is evidence that the ability of the Southern Ocean to remove carbon dioxide from the atmosphere is reducing. 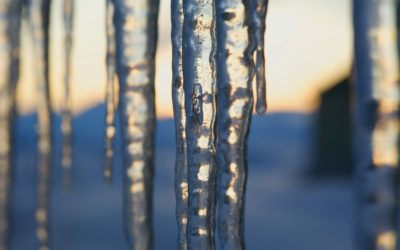 On-going measurements are needed to capture this change, and to understand the implications for future climate-projections which influence international climate policy. Changes in atmospheric composition are driven also by growth in urban centres, changes in agricultural practice, and burning of biomass. Signals of these activities can be detected as continental air masses flow out over the oceans. In the Arctic, changes in shipping, enabled by retreat of sea ice, is likely to influence the composition of the regional atmosphere. 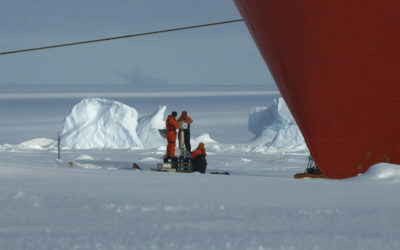 The choice of instrumentation on board RRS Sir David Attenborough will provide fundamental observations to underpin studies of changing air quality due to anthropogenic changes. 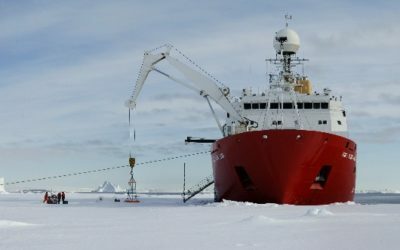 The new facilities and instrumentation on the RRS Sir David Attenborough will enable scientists to tackled atmospheric science questions of key global relevance.